As we all know, winter is a tough season for our homes. The combined elements of cold, heavy snow accumulation and the moisture when it finally begins to melt can take a heavy toll on our most valued possession. It’s also that time of year that we spend the majority of our time indoors where the lack of fresh air is compounded by the use of heating systems and fireplaces. There are steps that we can take to protect our homes during the cold season and to ensure that our indoor environment is as healthy as possible until the return of those warm spring days. First let’s tackle the outside of our homes. Be sure that your gutters and downspouts are clean and free of debris. Winter time is the wrong to discover that the melting snow is going in all the wrong places. Check the roof and chimney for any signs of damage and be certain that there are no obstructions that will block the free flow of air. It can be dangerous if your fireplace is not properly vented. Store all of your outdoor furniture in a safe and dry place. It’s not designed to withstand the cold temperatures. If you use a snow blower now is the time to make sure it is working properly and to get it serviced if necessary. Inspect storm windows (if you have them). Make sure that they close and seal properly and that there is no broken or cracked glass. Replace your screens with them if necessary. Remove debris from your yard and rake all of the leaves. This is not only a good way to keep the outside of your home attractive but may be required by local ordinances as well. Remove all hoses from the exterior of your home. Drain all of the water from them and store them inside. Like the outdoor furniture they are also not capable of withstanding extreme cold. Now let’s prepare the inside of our homes for the cold season. First of all it’s a great idea to clean the inside of your home for the upcoming months. Normal household dust will have nowhere to go in a sealed home so now is the perfect time to vacuum all of the items in your home that aren’t usually on the “to do” list. This would include curtains, fabric furniture, etc. This is important to help improve air quality in an enclosed environment. Make sure that all windows and doors are sealed properly to prevent cold air from finding its way inside. Test all smoke and carbon monoxide detectors to ensure that they are working properly. Carbon Monoxide poisoning is a serious threat at all times of year but even more so when all of the doors and windows are sealed tight. If you have had a problem with rodents in the past now is the time to set traps. Just like us they will come inside to escape the cold. 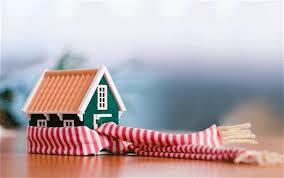 It is very important to have your heating system inspected before the onset of winter. Being cold is no fun and more importantly a malfunctioning heating system can be a source of carbon monoxide. Finally, this is a great time to throw away outdated food and medicine and to make certain that you have all of the first aid and medical supplies that you might need during the months to come. Now that you’re prepared for the snow season you can look forward to football (some of us) and a hot cup of cocoa in front of a blazing fireplace!